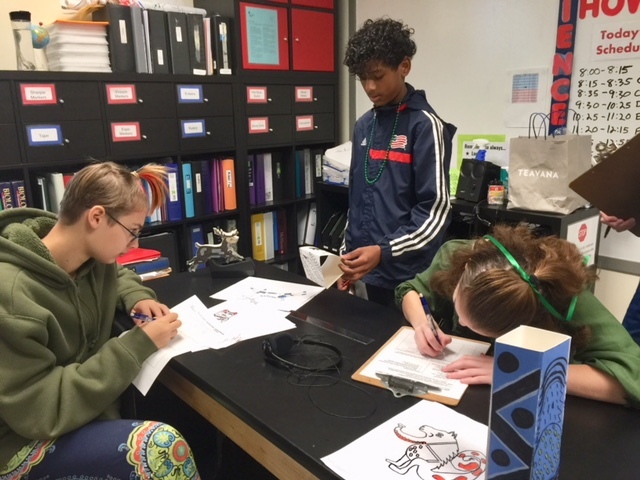 8th grade scholars recently researched the totem art of the Pacific Northwest indigenous tribes and found their own power and spirit animals. 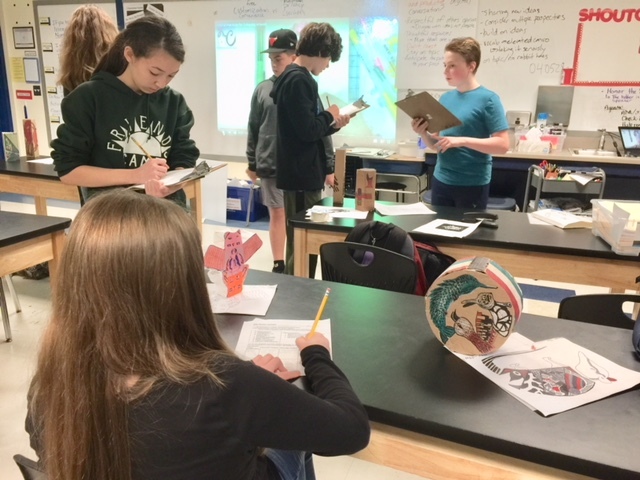 Scholars used observation, invention, and abstraction to discover what makes the designs specifically and authentically Pacific Northwest inspired. They watched video clips showing that families passed down their history and lineage through totems that told visual stories. 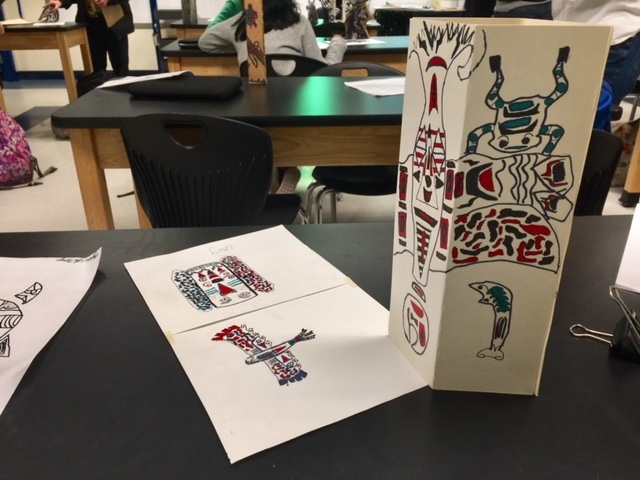 With this idea of storytelling, scholars then created 2D designs using Pacific Northwest inspired linework, shapes, and colors. 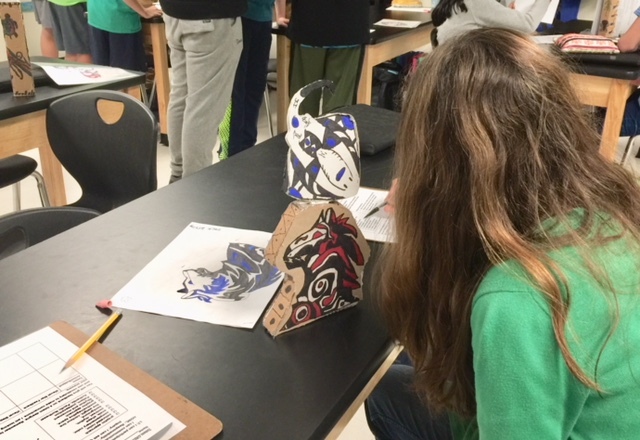 Finally, they used inspiration from totems as well as their 2D drawings to create 3D versions of their spirit animals using pattern and additional animal shapes to create their own 3D totem designs. The designs were so amazingly powerful, and each one was truly unique.